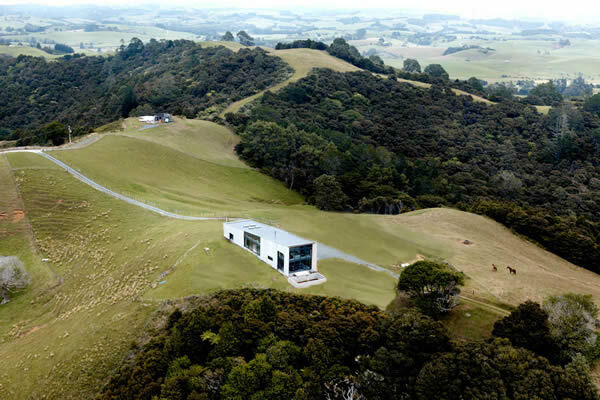 The Concrete Farm House sits on an exposed ridge near Matakana with a spectacular 360 degree panorama. 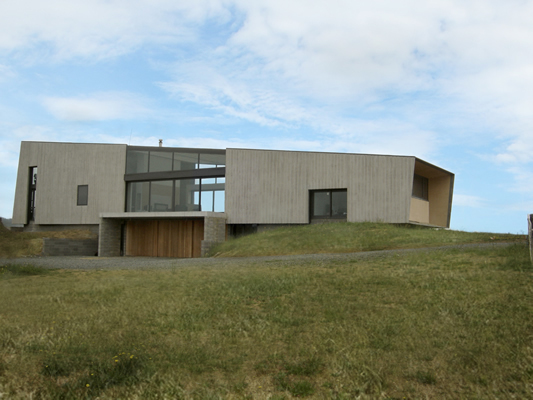 As the previous property had been destroyed by gale-force winds, the clients wanted a substantial house that would withstand the rigors of such an exposed site. 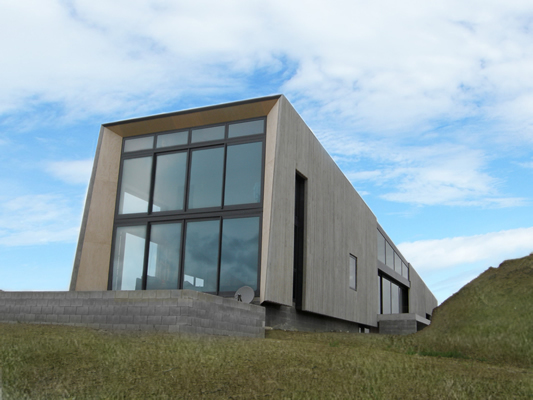 Concrete was the obvious choice of building material due to both its physical and psychological solidity. To express this, the base of the building is bedded into the crest of the hill, and rises monumentally out of the green pasture that surrounds it. The planning resulted in two very contained building areas connected by a loose light and voluminous living space which opens up completely on opposite sites to the countryside below. These two pavilions contain the private spaces, which require security and enclosure with limited openings. They are walled in tall lightweight precast concrete panels of vertical ribbed surface treatment designed to conceal the otherwise obvious joints which result in a panelised system, with an apparently seamless result. The panels were cast on 150mm wide vertical band-sawn pine planks to provide a wood grain finish to the concrete surface.